COOU JUPEB admission list – Chukwuemeka Odumegwu Ojukwu University (COOU), [formerly Anambra State University], JUPEB first batch admission list for the 2018/2019 academic session has been released. This is to inform all the candidates that applied for admission into the Chukwuemeka Odumegwu Ojukwu University (COOU), Anambra State, JOINT UNIVERSITY PRELIMINARY EXAMINATIONS BOARD (JUPEB) programme, for the 2018/2019 academic session that they can now check their admission status online. 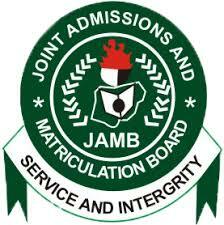 The names of candidates offered provisional admission into COOU JUPEB programme is now available on https://coou.edu.ng/jupeb-first-batch-admission-list/. Congratulations to all the candidates that made it to COOU JUPEB admission list for the 2018/2019 academic session.